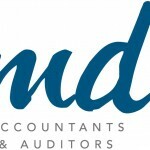 1 | MD Accountants & Auditors Inc. I am interested in the post of SAIPA article and please give me details so i can apply. Please can you email your CV to mdjobs@mdacc.co.za. I have noticed on your website that starting from next year(2019) you will be offering the SAICA articles,would like to know the requirement for entry as I have failed my CTA level 2 and intend to repeat my CTA while serving articles. Please advice in this regard.